Known as the leading truck dealer throughout the world, Ford answers the call from truck customers looking for an affordable, rugged, and maneuverable midsize pickup that’s Built Ford Tough with the re-release of the Ford Ranger. First released in the United States and Canada as a compact pickup truck, the Ranger was produced over the same chassis architecture over three generations. 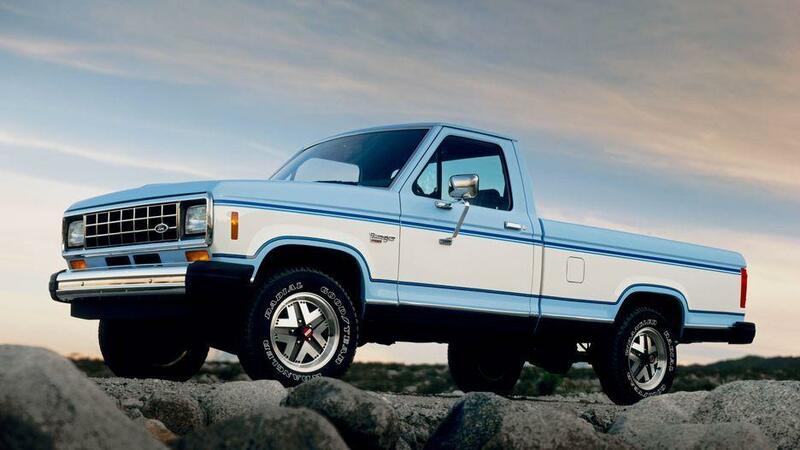 This Ford model also became the basis for many popular Ford trucks and SUVS, including the Ford Bronco as well as the first two generations of the Ford Explorer and the first-generation Ford Explorer Sport Trac. Despite its popularity, Ford ceased the production of the Ranger in 2011. After a rest of eight years, the Ranger is driving out of the grave to become a strong new choice for midsize truck fans. 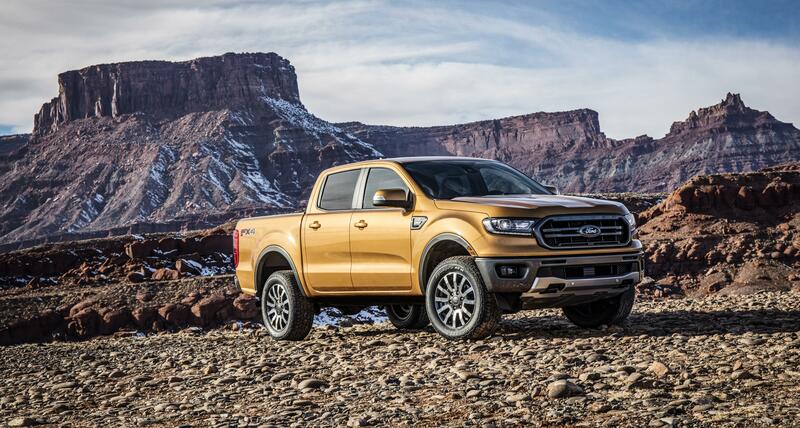 As the North American truck industry sees continued growth in midsize pickups, Ford is beginning it’s the reproduction of the new and improved midsize 2019 Ford Ranger. The new and improved Ford Ranger is built for adventure from its high-strength steel frame to its frame-mounted steel front and rear bumpers. Also put through the same torture testing as the legendary F-150, the Ranger’s muscular body features a high beltline that emphasizes strength, while a raked grille and windshield provide an athletic appearance – designed to aid in aerodynamics and reduce wind noise. A rugged steel bumper, with an available integrated trailer hitch receiver, also helps make towing campers, ATVs or watercraft a breeze. The Ranger prioritizes ground clearance to help climb over off-road obstacles. The FX4 Off-Road Package provides additional trail capability with off-road-tuned shocks, all-terrain tires, a frame-mounted heavy-gauge steel front bash plate, frame-mounted skid plates and FX4 badging. This Off-Road package also features an innovative Terrain Management System with four distinct drive modes – normal, grass, gravel and snow – as well as all-new Trail Control technology, which takes over acceleration and braking for situations like highway or rugged terrain. The Ranger also includes a 2.3-litre EcoBoost engine designed for efficiency and capability thanks to direct fuel injection, a twin-scroll turbocharger and 16-valve design. For added durability, this engine features a forged-steel crankshaft and connecting rods, and chain-driven dual overhead cams. As Ford’s vice president of Product Development and Purchasing, Thai-Tang mentions this truck is one of the most versatile, powerful and efficient powertrains in the segment. Like most Ford trucks the all-new Ranger will also be more innovative than ever before. With smart driver-assist and connective technologies like Automatic Emergency Braking, Lane Keeping Assist, Lane Departure Warning, a Reverse Sensing System, Ford’s available Smart Trailer Tow connector alert system and class-exclusive Blind Spot Information System with trailer coverage. Additional technology features include SYNC® 3 features Apple CarPlay and Android Auto compatibility. An available FordPass Connect 4G LTE modem also provides Wi-Fi access for up to 10 devices. Available AC power outlets even allow for charging of laptops and USB outlets provide more options for passengers to connect. So, when will the 2019 Ford Ranger be available for purchase at Van Isle Ford Sales? Production begins late this year at Ford’s Michigan Assembly Plant and the reborn Ranger will roll onto the showroom floor at your Port Alberni, BC Ford dealer in early 2019. Contact us today to get on the list for an unforgettable Ford truck test drive.